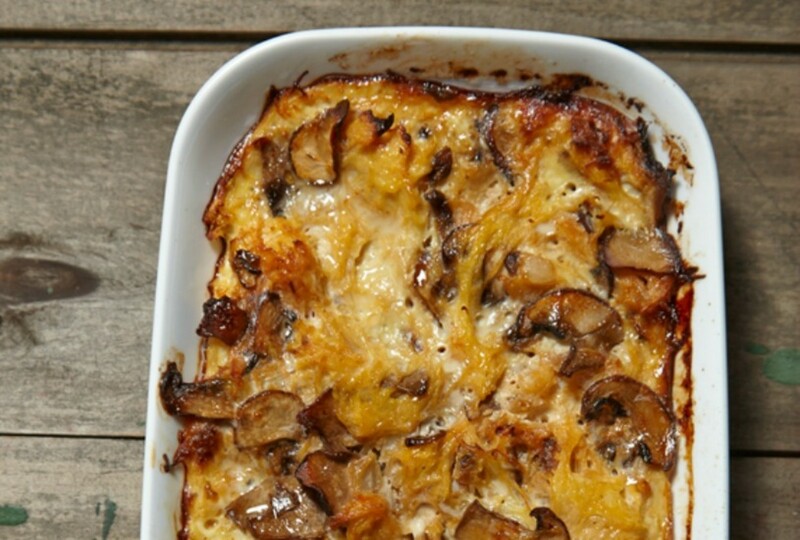 You won’t miss the dairy when you serve this casserole! The eggs in this recipe create a creamy and “cheesy” crust so divine that you might actually think you put mozzarella right in there. 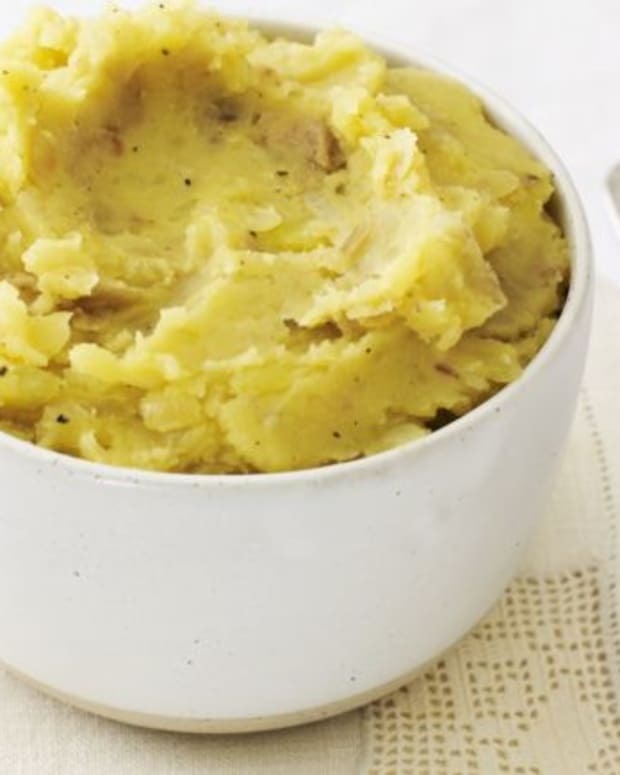 This recipe can be made ahead and even frozen, it will be your new go to healthy side dish. 1. Preheat the oven to 400°F and grease an 8x8 casserole dish with olive oil. 2. 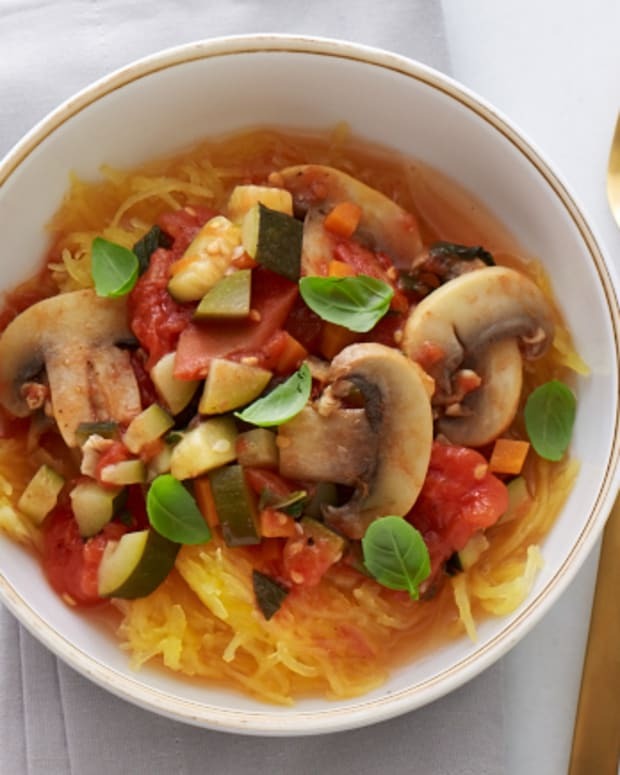 Cut the spaghetti squash in half lengthwise, scoop out the seeds and place the squash cut-side down on a baking sheet. Bake for 45 minutes, until the skin of the squash is fork tender. 3. 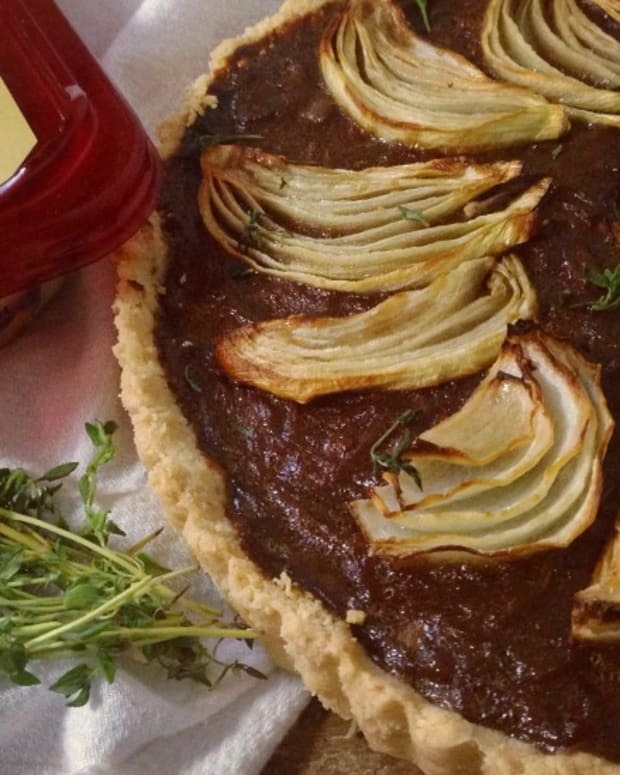 While the squash is baking, prepare the caramelized onions and mushrooms. Heat the olive oil in a frying pan over medium-high heat, then add the onions and mushrooms. Lower the temperature to medium and cook the onions and mushrooms until beginning to brown, stirring occasionally to prevent burning, for around 10 minutes. Add the water to the pan and stir the onions and mushrooms to pick up the brown bits in the bottom of the pan. Cook the onions and mushrooms for 8-10 minutes, until there is no more water in the pan. 4. 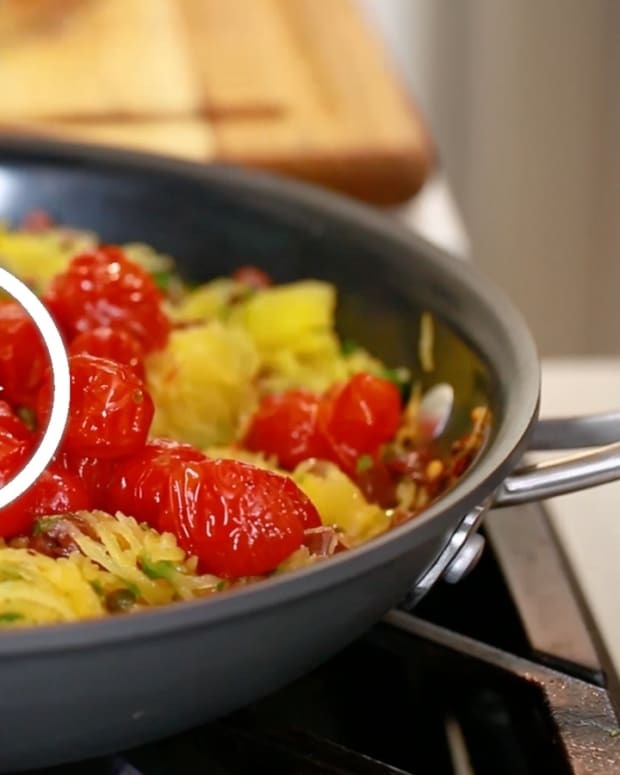 Remove the squash from the oven, scoop out the flesh and place it in the casserole dish. Stir in the caramelized mushrooms,onions, tomato sauce, garlic powder, salt and pepper. Add the whisked eggs to the baking dish and mix everything together until you can no longer see the eggs. 5. Bake uncovered for 1 hour in the oven, until the top of the casserole has formed a crust that looks like cheese and is brown around the edges. Let rest for 10 minutes before serving. 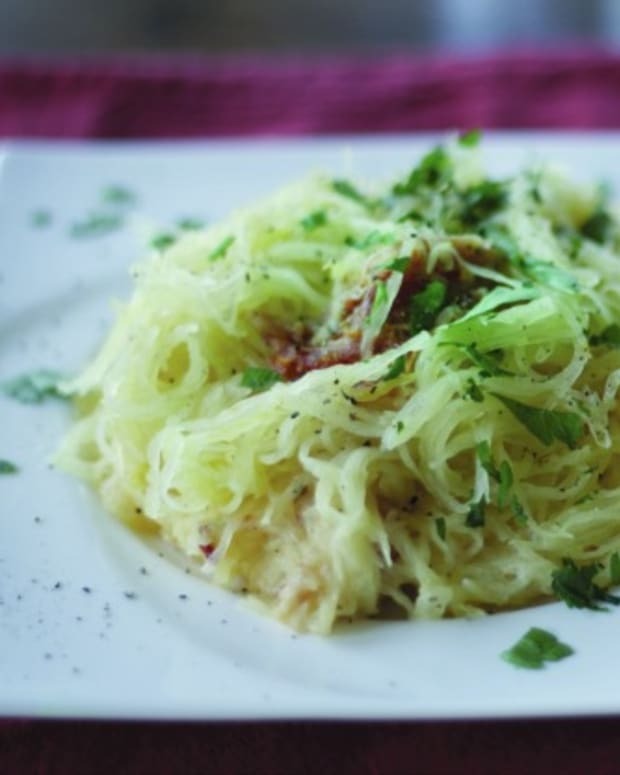 For more recipes with Spaghetti Squash click here. 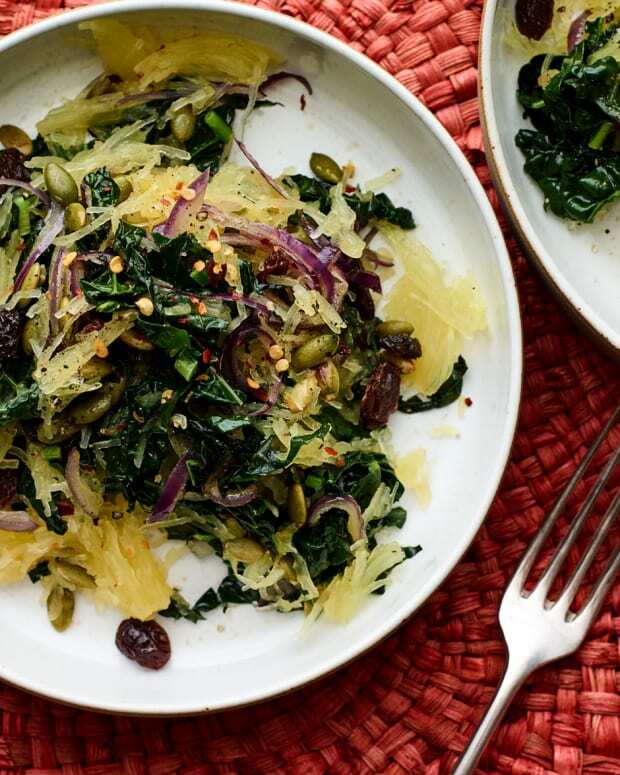 Want recipes like this delivered straight to your inbox? 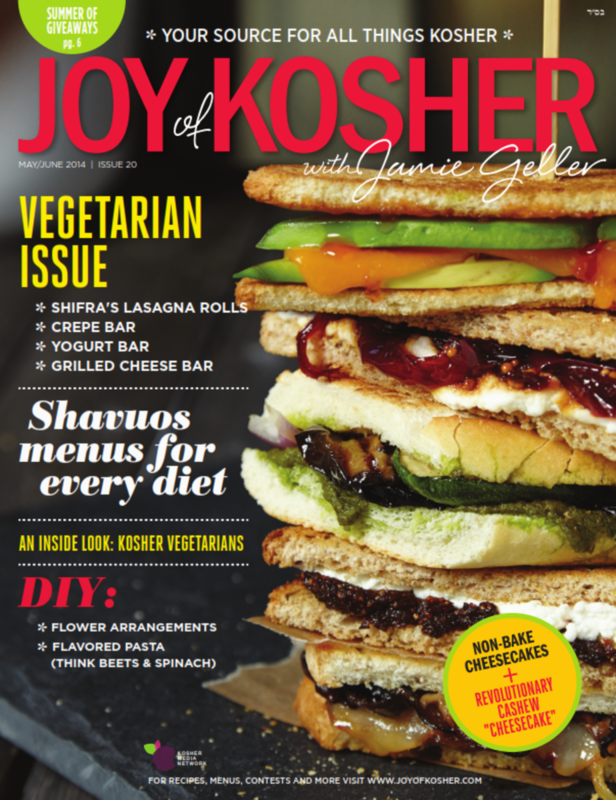 Sign up now for the Joy of Kosher Weekly Newsletter.